Lakmé & Rajesh Pratap Singh, grand finale designer for Lakmé Fashion Week Summer/ Resort 2014, launched Lakmé Absolute Illusion, the latest fashion week collection that will create magic on the runway on 16th March 2014. Love the deep green eyeshadow but nothing else. I don't like this collection as much. Would love to see these reviews on your eyes, lips and specially nails :) Purple nail polish looks like Lakme FF Purple Plunge. 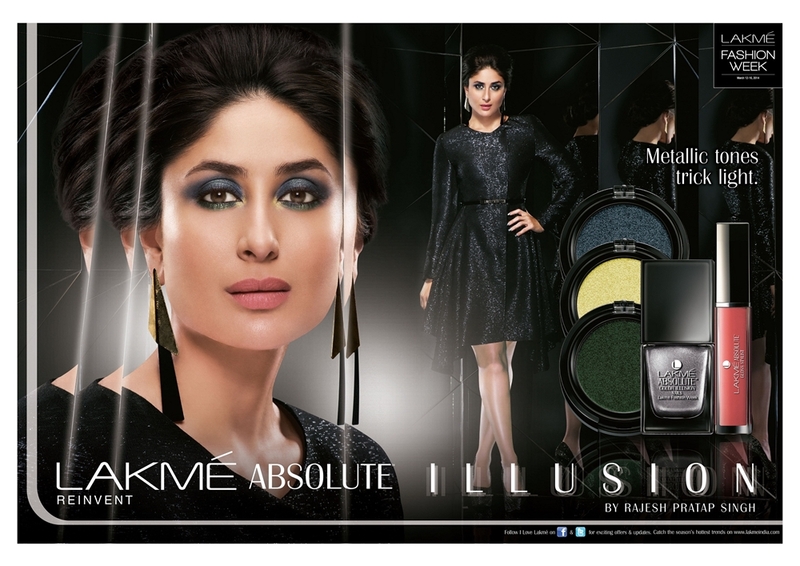 Why is Lakme turning expensive day by day??!! Hmmm...interesting. This collection seem to have great shades. Hope to swatches and reviews about these.